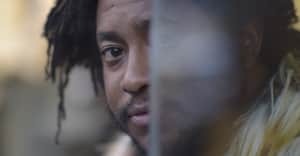 Thundercat has shared a new video for "Tokyo," the first visual from February's Drunk album. The song, built upon an 8-bit-inspired beat, chronicles a visit to Japan's capital city that Thundercat doesn't want to end. The clip was shot on location by Jun Hanamoto-Hearn while Thundercat was on tour in the country earlier this year. Thundercat is embarking on an international tour this month. See his full itinerary below and watch his new video for "Tokyo" above.